(BREITBART)- A NATION OF SHEEP RULED BY WOLVES. A pair of high-school girls were set upon and beaten in a sneak attack by a large gang of other teens in a Washington D.C. Metro station, all while one laughing teen took video of the attack and as adults stood around doing nothing to stop the beating and robbery. The victims were waiting inside the busy L’Enfant Plaza Metro station–a station on the edges of the National Mall in Washington D.C.–when they were hit from behind in a sneak attack by a gang of teens, a police report notes. The girls were mercilessly attacked with one suffering a broken eye socket. “Metro is not safe at all, and I challenge somebody to tell me that it’s safe,” the mother of one of the victims told the media. More shockingly, video of the June 6 attack later ended up on Instagram where the victims later found it. One of the victim’s mothers was outraged by the whole incident, especially the video–which was later removed from the social media platform. The same mother, who did not want to be identified, told the media that her victimized daughter was shocked none of the many adults in the station intervened to stop the attack. “She didn’t understand why so many adults stood around and no one helped them,” the woman told the media. Police in D.C. noted that they are aware of this gang of teens and pointed out that many are residents of Prince George’s County in Maryland. The D.C. police said they are working with authorities in Maryland to track the teens down. 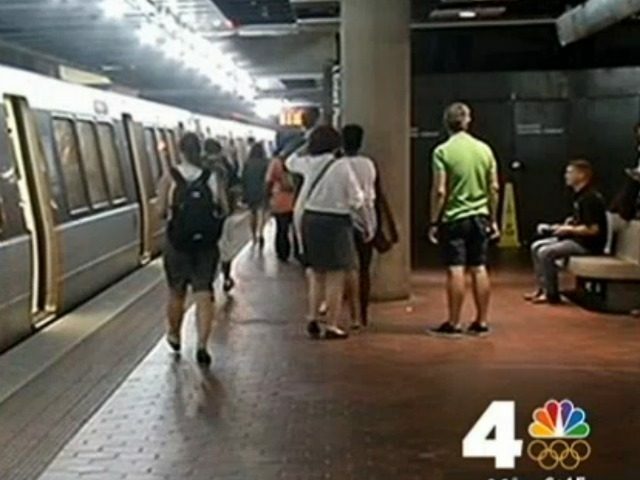 This is hardly the first time a gang of teens recently attacked someone on the Metro. The number of attacks has become so frequent that Metro officials had to admit to the problem earlier this year. Still, officials insisted that other than the gang attacks crime was down on the Capital City’s busses and trains. A recent report by USA Today detailed a long string of attacks by teens going back at least a year. A robbery at Metro bus stop near Trinity Washington University. University President Patricia McGuire said six to eight girls attacked a female graduate student on Feb. 4.